The steep climb is finished on the cobbles of Lincoln's historic streets. There are 2 separate races, usually held on a Sunday with the women's event (in its fourth year) in the morning and the men's following soon after lunch. The race consists of a circuit that's around 8 miles long and takes in some of the countryside and villages to the north and west of the City. The roads are closed for each race that consists of around 160 riders from teams based all over the country. The women do 8 laps whilst the men complete 13 (over 100 miles in total). Smooth road before the cobbled ascent of Michaelgate. Russell Downing ~ A 4 times winner of the Lincoln Grand Prix. Over recent years Dean and Russell Downing have had their share of victories for the men and whilst the women's event is new, Alice Barnes has taken 2 wins out of the 4 races between 2015-2018. This years women's race was won by Rebecca Durrell. The 2018 men's winner, Alexander Richardson, was initially on the list of reserve cyclists, he wasn't part of a cycling team, yet went on to beat some of the very best cycling athletes in the UK. Alexander Richardson - 150 meters to victory! Whilst it's fair to say that I love my cycling and therefore may be somewhat biased, this Lincoln one day classic is a feather in the cap for the City. It attracts huge crowds and now with the women's race in place it has become even more popular with the crowds, who adorn the streets to cheer and support the riders. Taken from the 2018 women's race. I imagine the Lincoln Grand Prix will continue to go from strength to strength. Cycling has become an immensely popular sport in the UK with some of our riders taking on the world's best in 'Le Tour' and that spirit seems to be embedding in our own cycling culture. (Huge thanks should go to Mr Ian Emmerson who has been a driving force for this event since 1963). I love to go and spectate each year and the chance to combine that with capturing some of the action as a photographer makes it so worthwhile. If you get the opportunity to make it then do come along, I can highly recommend it! 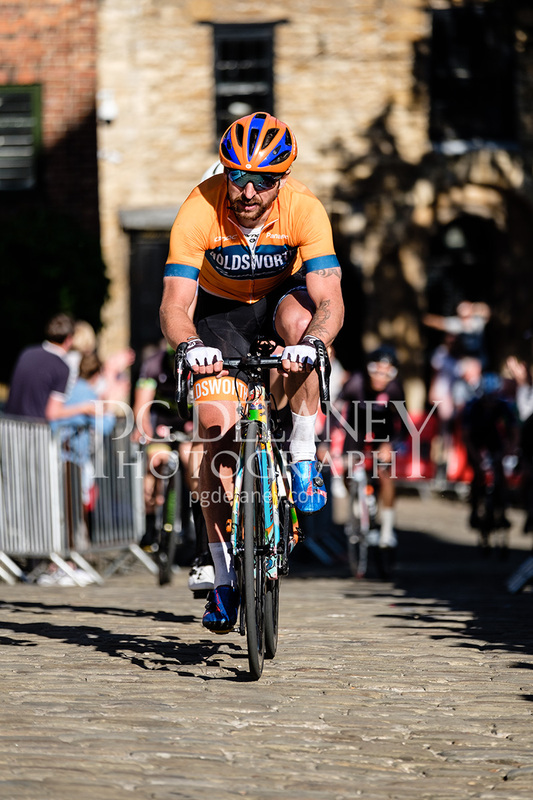 If you'd like to see more images from the 2018 Lincoln Cycling Grand Prix then click the button below.